During WWII, hundreds of aircraft of all types were designed and produced by the main belligerents of the conflict. Some went on to become legendary. Some were initially flawed and were then upgraded to enable them to serve their purpose. Then there are the others, like the Douglas XB-19. This long-range bomber was flown only a handful of times during its test flights, starting on June 27, 1941, and ending on August 17, 1946. It never entered active service. In fact, there was only a single model produced, which served as an unsuccessful prototype. It truly dwarfed all of its contemporaries with its 212 ft (64.6 m) wingspan and its length which was greater than 132 ft (40.2 m). 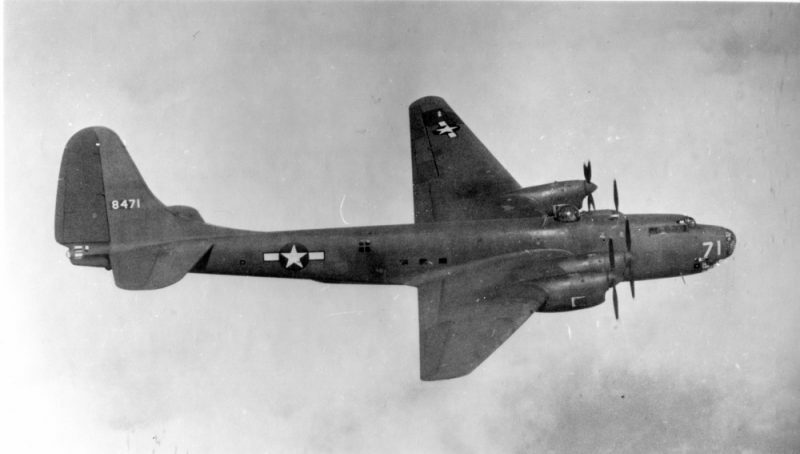 The Douglas XB-19, the largest bomber aircraft built for the United States Army Air Corps until 1946. After an attempt to turn it into a transport plane had failed, the XB-19 was deemed obsolete. After plans of preserving it were abandoned as well, the airplane was scrapped in 1949. Today, only two of its enormous main tires remain on display: one at the Hill Aerospace Museum in Utah and another one at the National Museum of the United States Air Force in Dayton, Ohio. 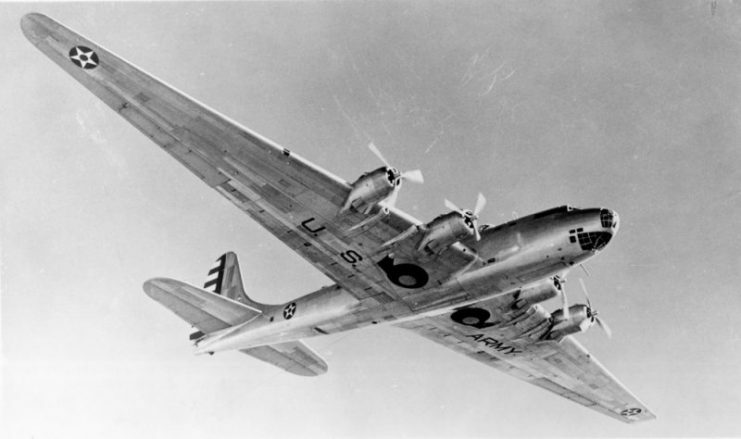 However, in the 1930s, when the XB-19 was first conceived, it seemed as though the aircraft had a bright future ahead. 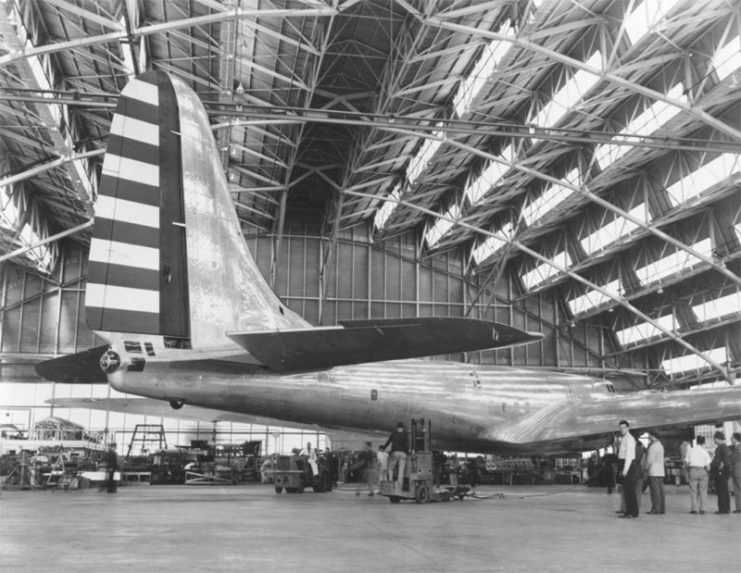 The Douglas XB-19 prototype in a hangar on March 18, 1941. In 1936, when a full-size mock-up of the aircraft was built, it featured an all-metal design that was cutting-edge for its time. This design also included a glass nose, low wings, and a retractable tricycle undercarriage. It was to be flown by a crew of 16 men and looked able to support all sorts of advanced instruments and technology which were still in development at the time. Most importantly, it was intended to hold up to 11,000 gallons of fuel and to house a replacement crew for missions that would extend its flying time to more than 24 hours in the air. With this in mind, the bomber was even equipped with bunks and a galley kitchen. 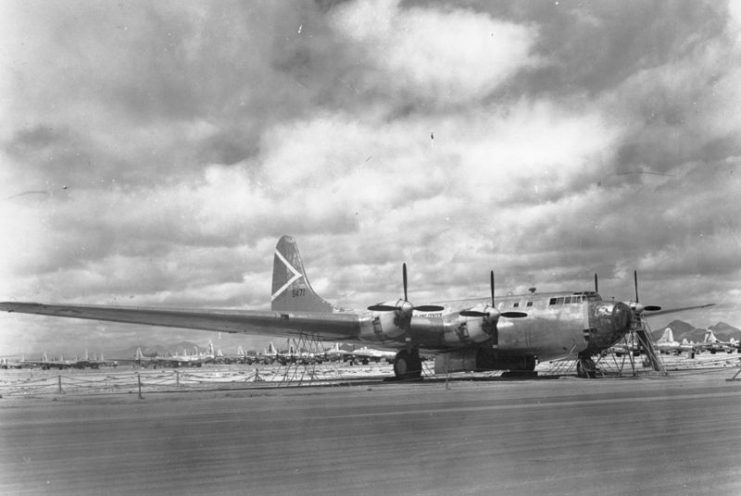 Douglas XB-19 38-471 at Mines Field. Although it started as a top secret, top priority project, the engineers from Douglas Aircraft Company received inconsistent funding, and the production of the prototype dragged on for three years. Just before the prototype was airworthy, the project was declassified because, by 1941, the cutting-edge design had already become common knowledge among other countries that pursued the development of aircraft technology. 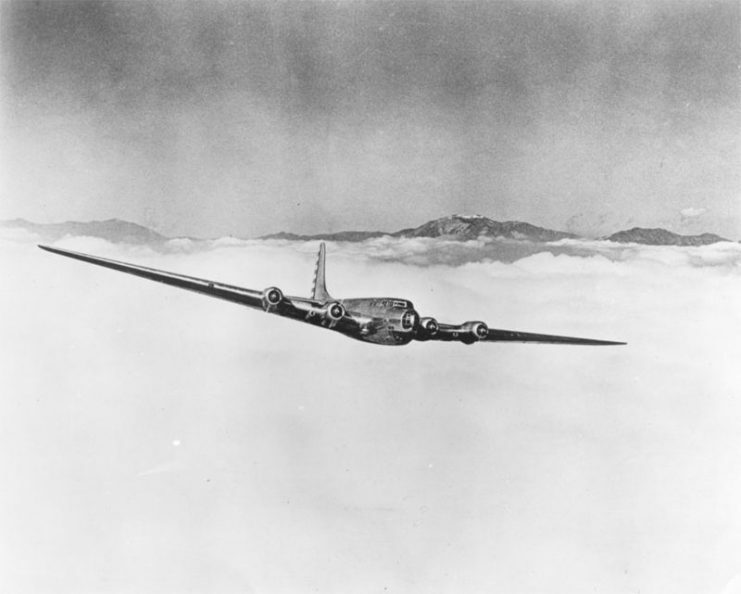 The Douglas XB-19 prototype in flight in 1941. Still, once the press found out about it, a considerable amount of hype grew around the XB-19, as it was deemed a superweapon in the eyes of the public. 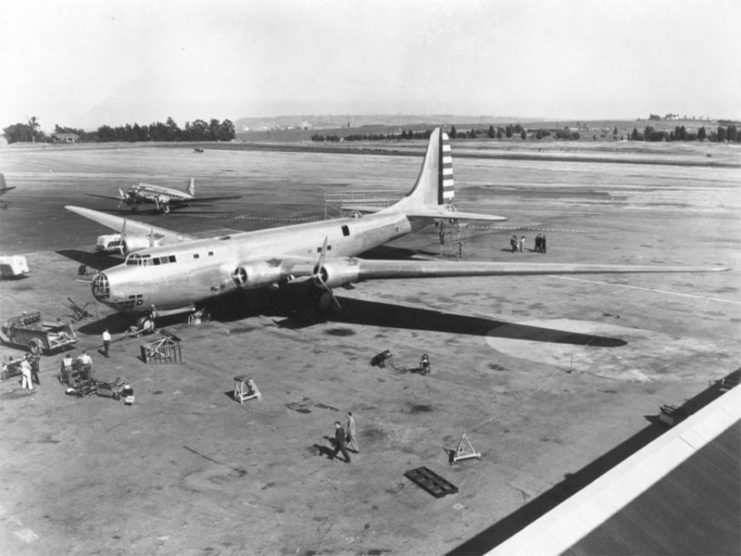 Despite the fact that it was obsolete by the time it first took off, the experience gained during its construction influenced the construction of the B-29 Superfortress which went on to become one of the most successful strategic bomber airplanes of the entire war. 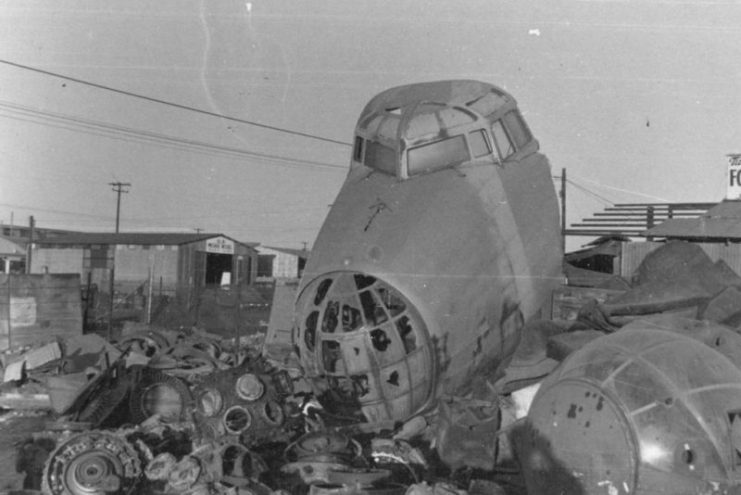 XB-19A at Davis-Monthan Air Force Base before scrapping. 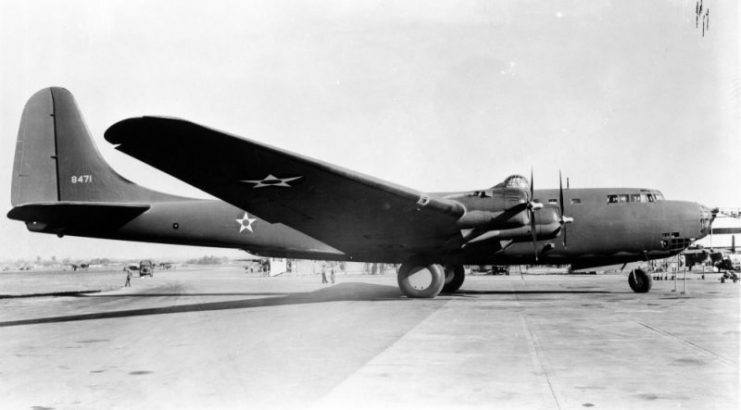 The XB-19 scrapped at MASDC.